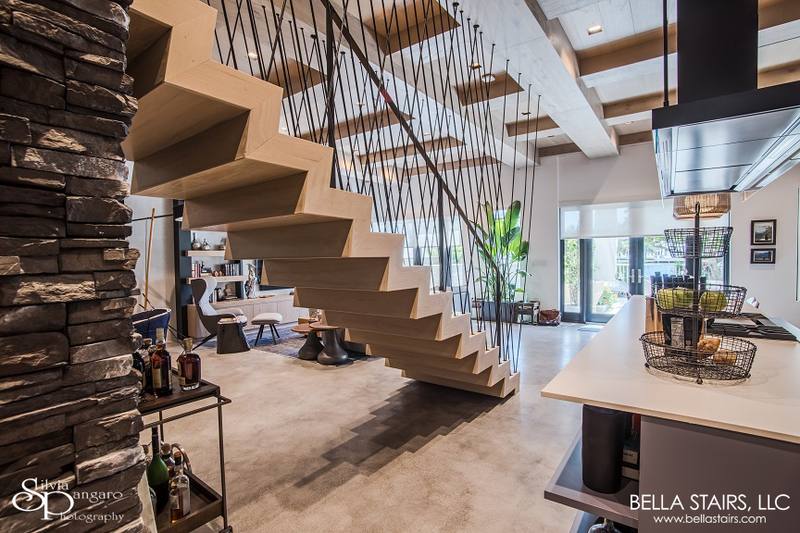 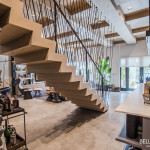 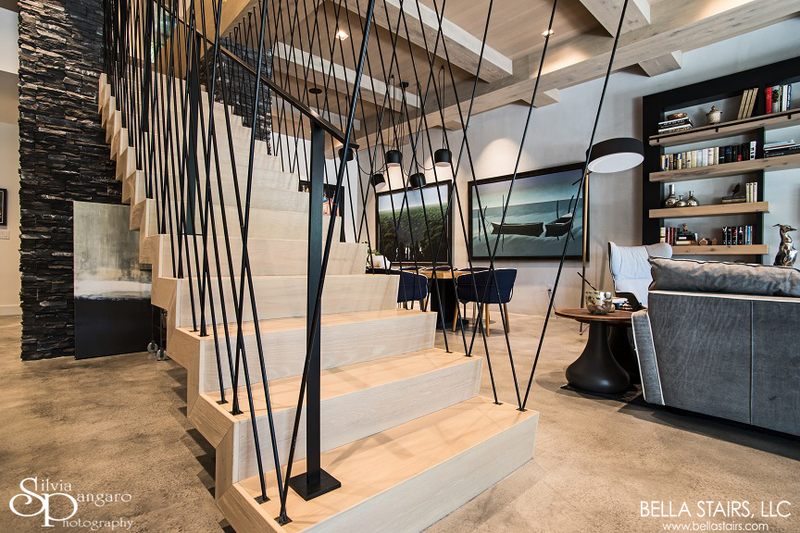 This elegant and sophisticated residential home in Aventura, FL received a monumental staircase design which features white oak and decorative matte black elements. 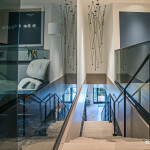 A successful collaboration with CH Construction Group and interiors designed by Jo Kantor Designs! 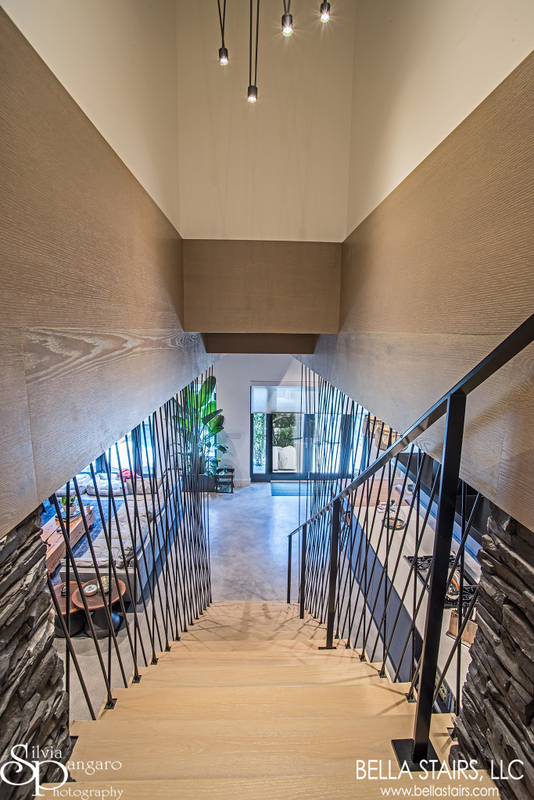 For this zigzag stair design, a custom stained white oak was chosen for the wood treads. 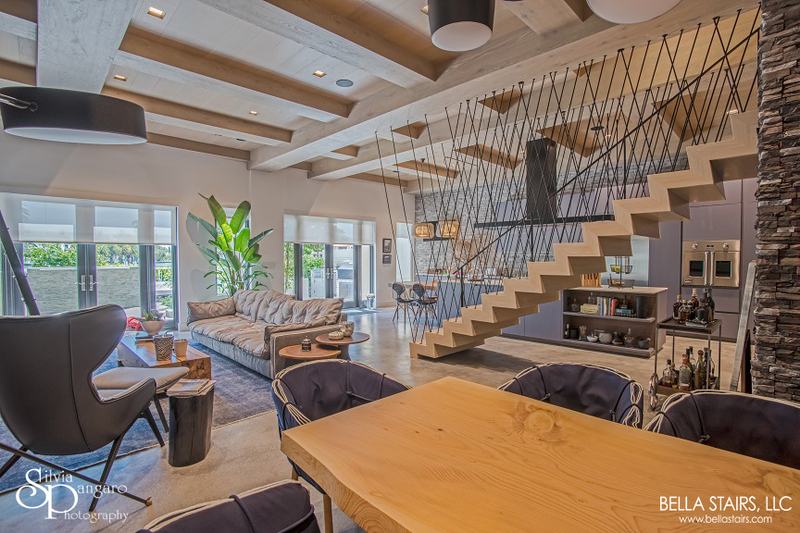 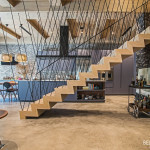 Steel rods were anchored from the wood treads to the ceiling, creating a visual crisscross effect. 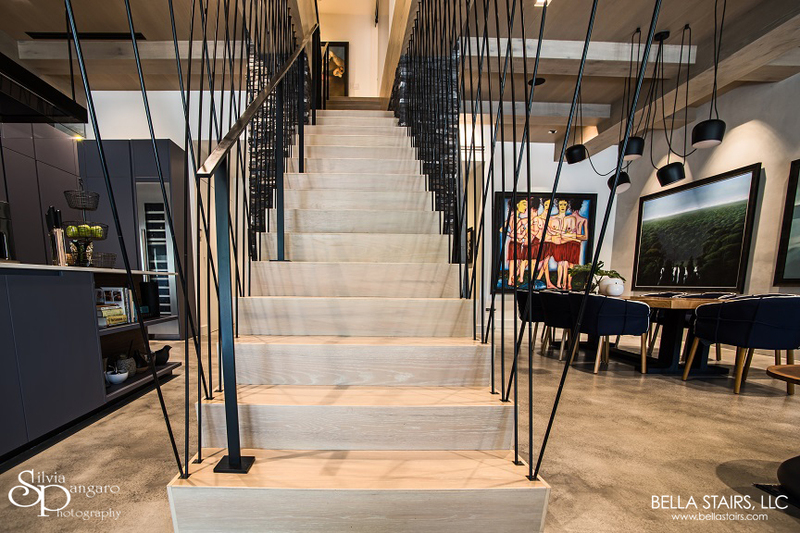 The artistically installed steel rods were custom painted a matte black, which created a nice contrast with the light wood treads. 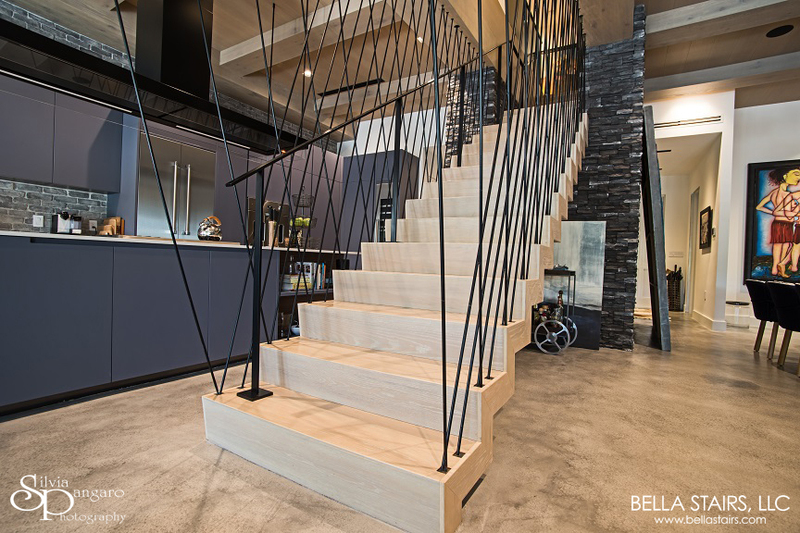 A matte black flat-bar handrail was also installed alongside the staircase. 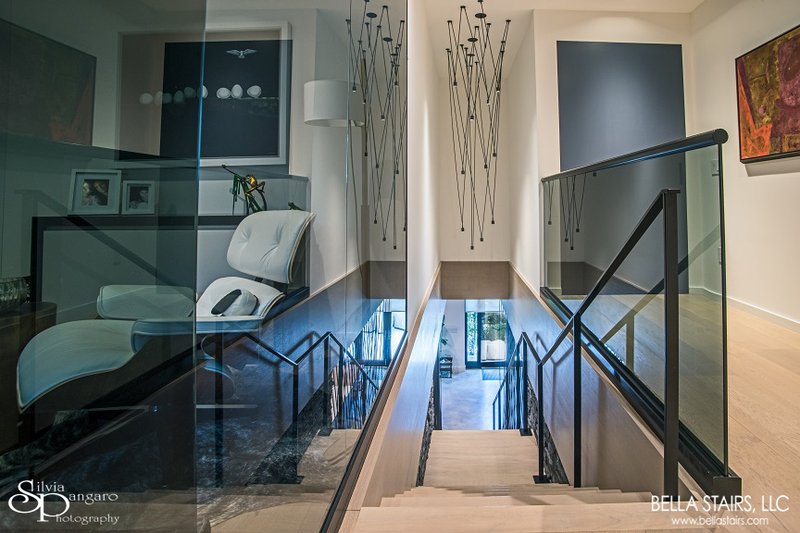 As you ascend the staircase to the second floor, you are met with a tinted glass guardrail & glass wall partition. 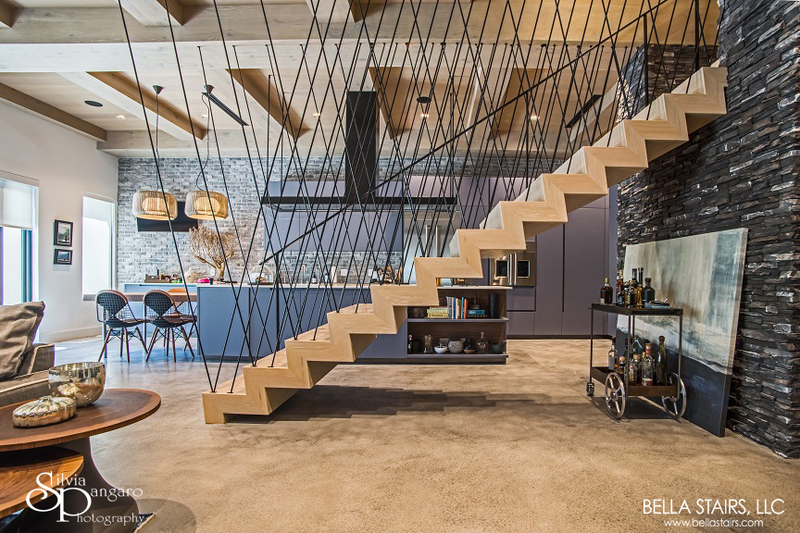 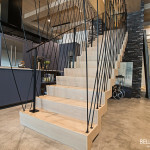 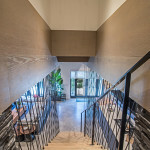 All of the blackened elements tie in nicely together with the overall design of this unique staircase.